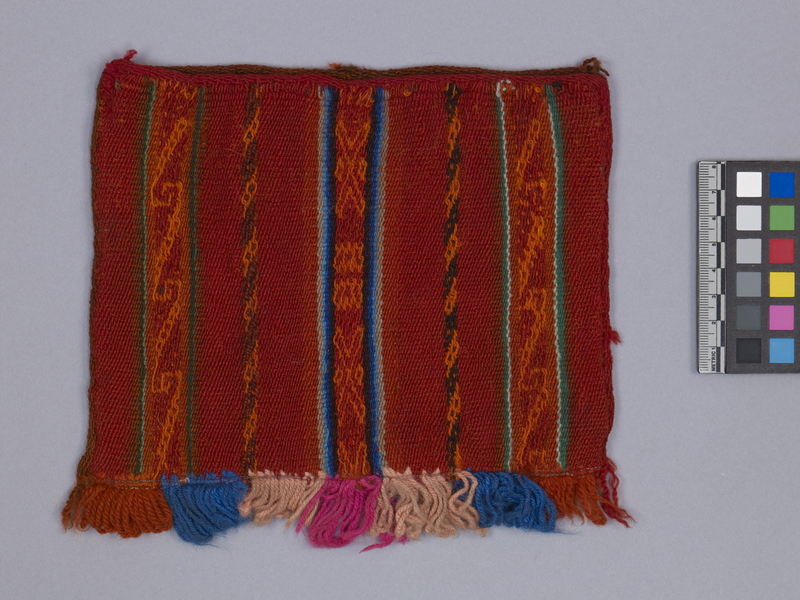 Item number 2946/59 from the MOA: University of British Columbia. 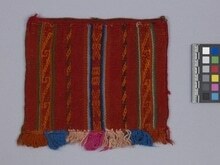 Red, rectangular, woven bag with multi-coloured fringe the bottom edge. There are vertical stripes across the front and back, decorated with geometric patterns. The centre stripe is outlined in blue and grey, while the two outermost stripes have green edging.